We’re big believers that the simplest meals are often the most satisfying. Which is why we love the latest grilled cheese and wine pairing collaboration between the Wine Sisterhood and Cabot Creamery. 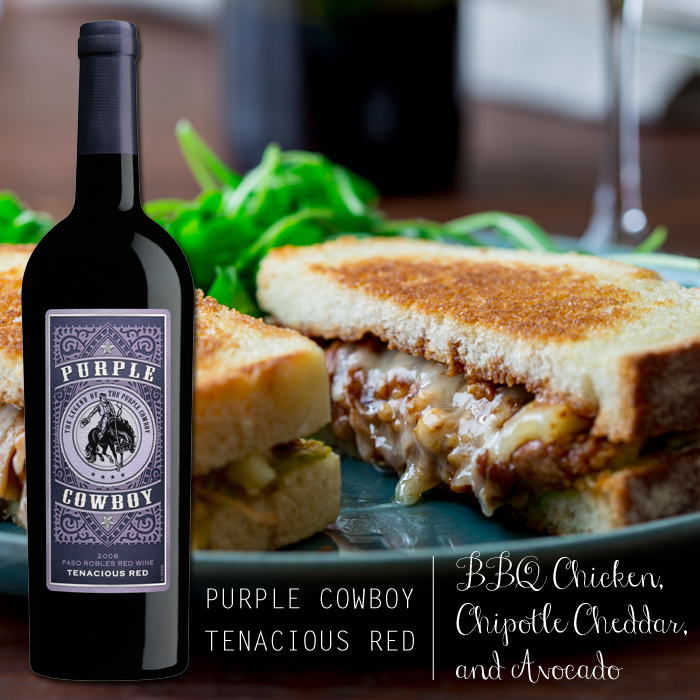 Tonight let’s heat up the skillet, shred some cheese and pour a glass of Purple Cowboy! 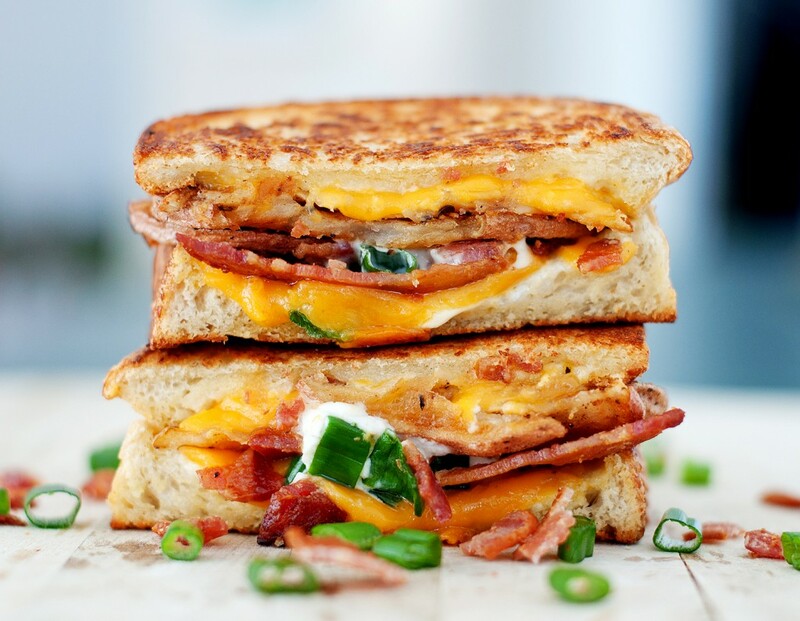 Grilled cheese, two words that make our taste buds perk up and bellies grumble. And it just so happens that April is National Grilled Cheese Month! What we love the most about these recipes is that they are simple, you’ll need a skillet, butter, bread and cheese. Then you get to dress them up with all the extras your heart desires (and stomach can handle!). 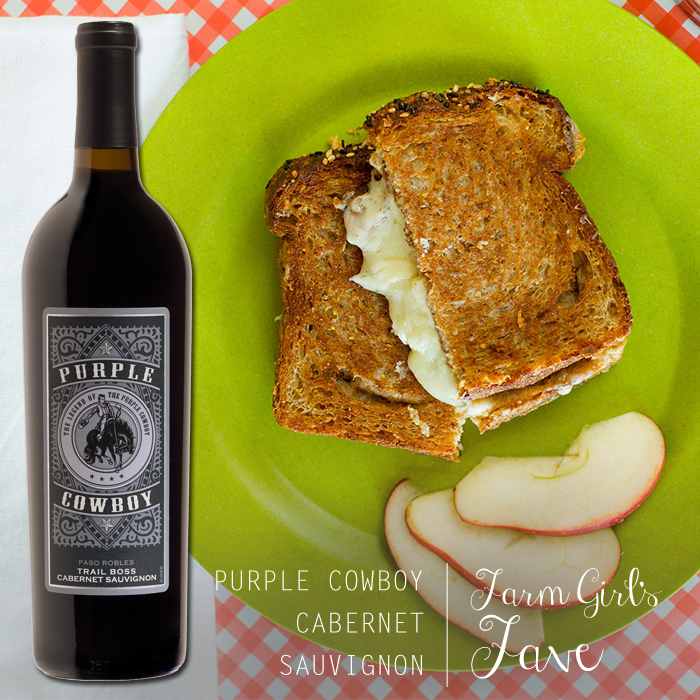 Here are some new spins on the classic grilled cheese that we think will pair deliciously with Purple Cowboy Tenacious Red or Trail Boss Cabernet. Enjoy! It’s that time of year when we all want to do is hunker down and cozy up with our favorite cowgirl or cowboy. Well, rest easy. Purple Cowboy has some classic winter recipes for those chilly days and nights. 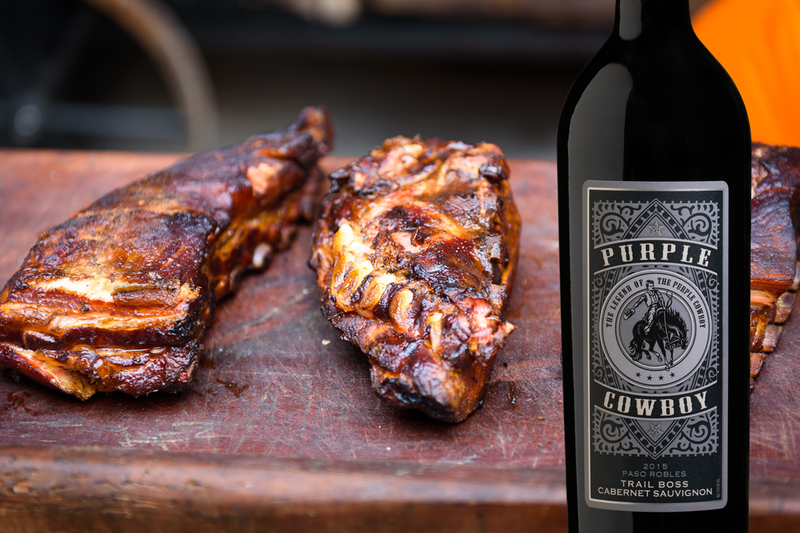 Naturally, these favorites all pair perfectly with our Tenacious Red and Trail Boss Cabernet. The classic flavor combination of top-quality beef, blue cheese, and dark greens is sure to warm you up! 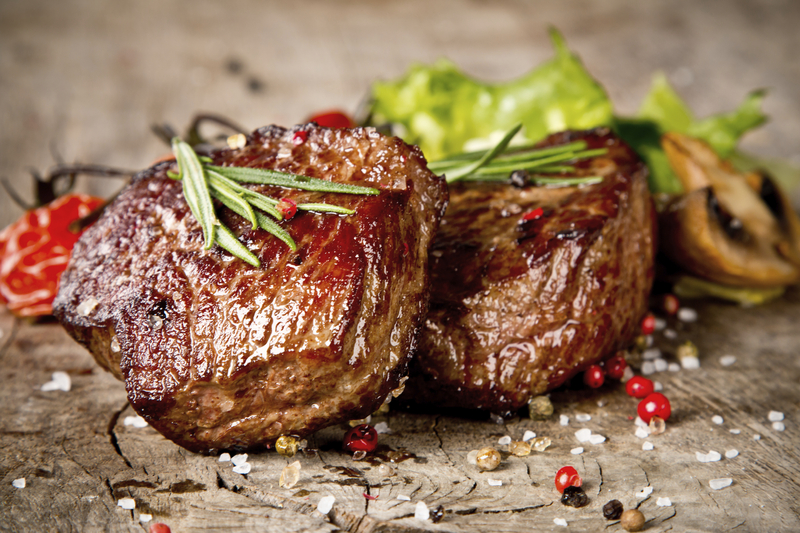 Start with a simple and tasty steak recipe, like bacon-wrapped filet mignon from one of our favorite cowgirls: the Pioneer Woman, Ree Drummond. With just five ingredients: filet mignon, bacon, salt, pepper, and butter, there is no more you need to do to dress up a tender steak than wrapping it with strips of bacon. Serve yours with some of these tangy bleu-cheese twice-baked potatoes from Gimme Some Oven. Cut your prep time by microwaving the potatoes for the first step and filling them with the bleu cheese and potato mixture as directed. Then just pop ‘em in the oven to finish them off. Round out your steakhouse-at-home experience with a delicious, easy creamed spinach. We love this one from Boy Meets Bowl, which calls for fresh spinach and a basic cream sauce to deliver the flavor. W.C. Fields must have known that adding wine to a slow oven braise results in a succulent and saucy meal. 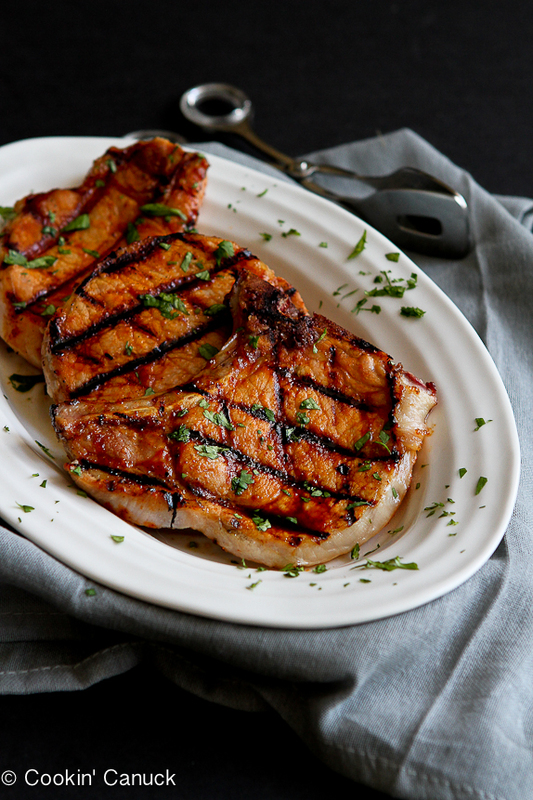 Like these Red Wine-Braised Pork Chops that will fill your house with delicious aromas. This recipe calls for red wine and port in the sauce. Make sure your chops are tender by first brining the chops, then trim the fat and connective tissue and brown them in a dutch oven. Add spices, wine, and broth to create the sauce, and transfer straight into the oven. 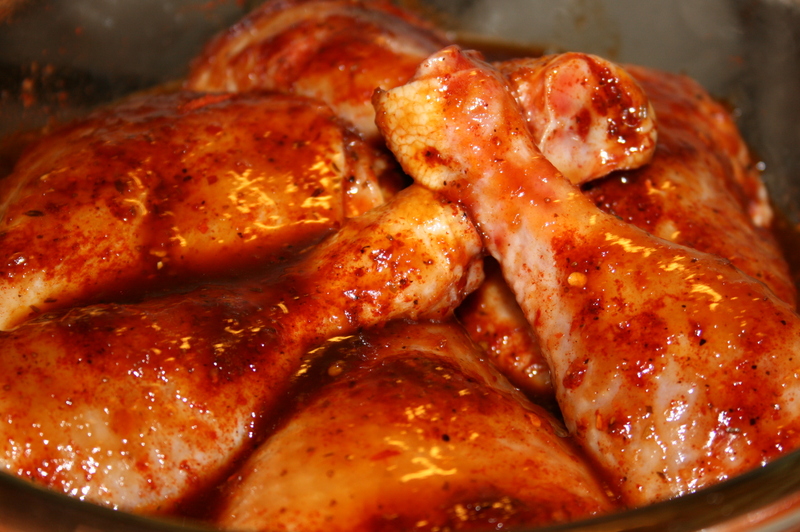 You may need to reduce the sauce at the end of the oven cooking time; if so, remove the chops first before heating the sauce further. Serve these chops with something hearty that will soak up the sauce like mashed potatoes, egg noodles, or rice. Add some garlic-sauteed greens such as these Pan-Browned Brussels Sprouts, and you’ve got yourself a meal. Time to open the wine! If you’re in a warm-weather locale, then this one is for you! Get outside and (wo)man the grill with Bobby Flay’s Santa Maria-Style BBQ Tri Tip. Tri Tip is a favorite in California’s Central Coast region, which is also the region where the Purple Cowboy grapes are sourced. Bobby Flay serves his Tri Tip with Santa Maria Pinquito Bean Relish, Cherry Tomato Relish— cooked on the grill in a basket, and Grilled French Bread (all recipes are included in the link above). He emphasizes the importance of letting the meat cook on an area of the grill that has low or indirect heat for a real barbequed effect. You can even use a smoker if you’re so inclined. For city-slickers and those in colder climates, try these oven-roasting instructions from the folks over at the New York Times. For a real comfort-food favorite, build a Shepherd’s Pie with ground beef, lamb, or turkey. Start with a basic recipe like this one from Country Living, and brown your meat with spices and onions or whatever fresh or frozen vegetables you have on hand. 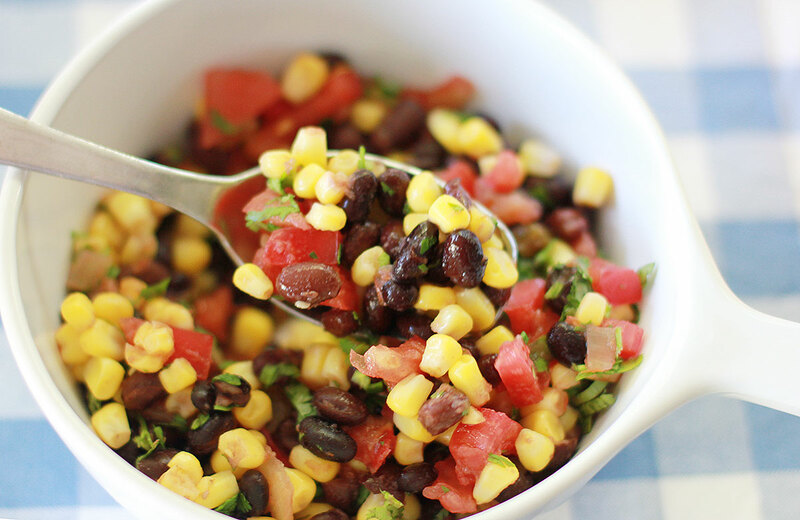 Carrots, peas, green beans or corn do the trick. One thing that makes this dish so easy is that you can cook your veggies right in the mix—you don’t need to make a separate vegetable dish. Add a bit of liquid, such as broth, wine, or beer, allow to cook briefly, and top with mashed potatoes before baking. Use leftover mashed potatoes if you have some on hand or whip some up especially for the pie. You can even Tex-Mexify your Shepherd’s Pie by adding red peppers and taco seasoning to the ground meat saute and topping with Monterey Jack cheese. What could be better than a great meal? A great dessert! Try Bananas Foster and this Alton Brown’s recipe that yields rich and delicious results. Saute butter, brown sugar, spices, banana liqueur, and slightly green bananas, then flame with dark rum. Serve with vanilla ice cream for a memorable finish to any of the recipes we’ve shared! Let us know your favorite winter recipes in the comments section below or on our Facebook Page. 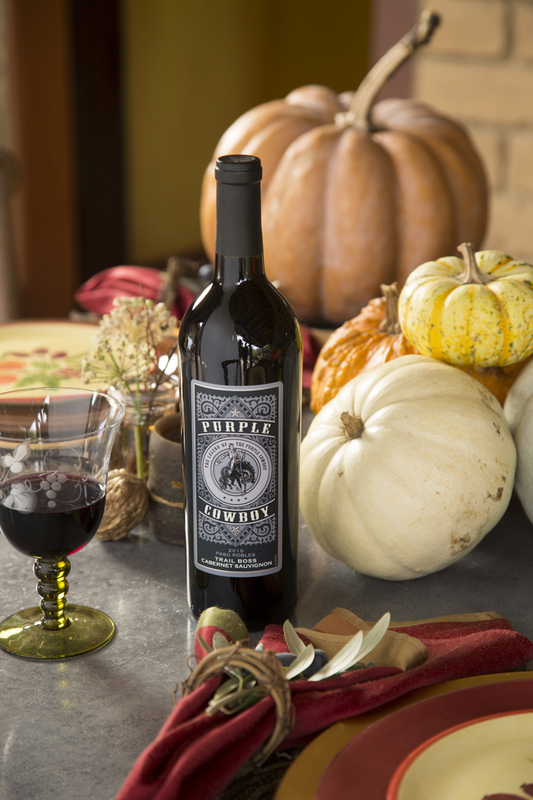 Over here at Purple Cowboy, we are thankful for the grapes that make the wine, the horses that carry cowboys near and far, and our health, home, and families. In celebration of the first American holiday, we’ve assembled a range of Thanksgiving recipes that are sure to please, and a few simple, homey decorating ideas for your celebration. There’s no place like home for the holidays, and that starts with a good, hearty meal. We’ve put together some of the web’s best recipes for turkey plus our favorite sides. And of course Purple Cowboy Tenacious Red or Trail Boss Cabernet partner up nicely with anything you see here. The big day calls for a big bird! Take a look at these turkey-cooking tips plus an overview of cooking methods that put the focus on moist and tasty results. Brine It! The Pioneer Woman swears by brining for the most reliably juicy meat. If you’re considering this method, it works best with a fresh turkey (frozen birds have a saline solution added and they can end up extra salty). 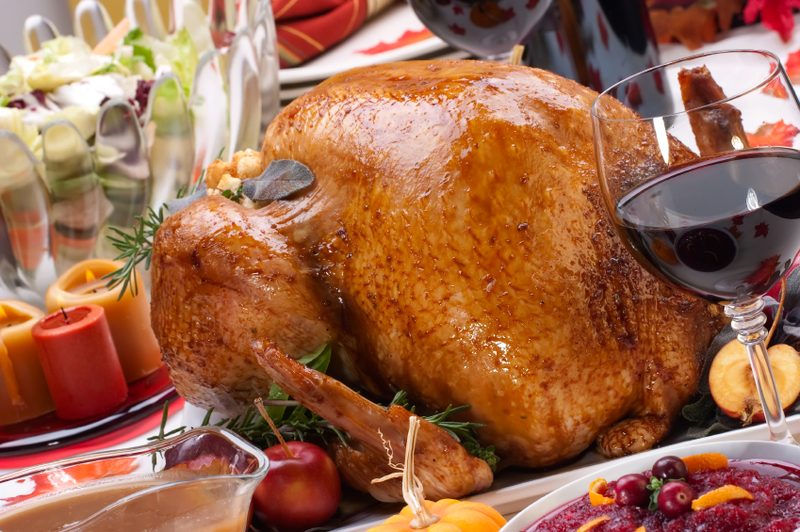 Also check out Saveur’s Brined and Roasted Turkey and Alton Brown’s Brined Roast Turkey. 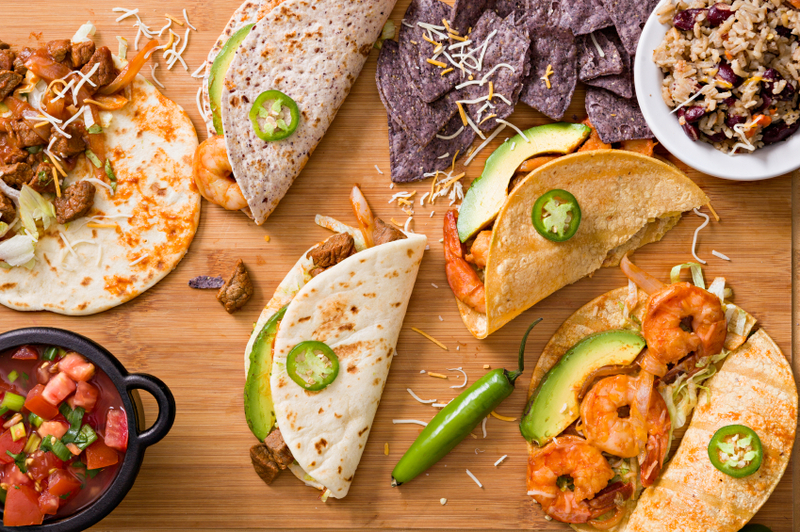 Southwestern Flavors: Get creative with the rub and bring your favorite flavors together for a bit of kick. Spices like cumin, smoked paprika, and coriander are ones to consider. Don’t forget the heat, from your chile of choice. There is no shortage of recipes to draw from if the flavors of the Southwest inspire you. 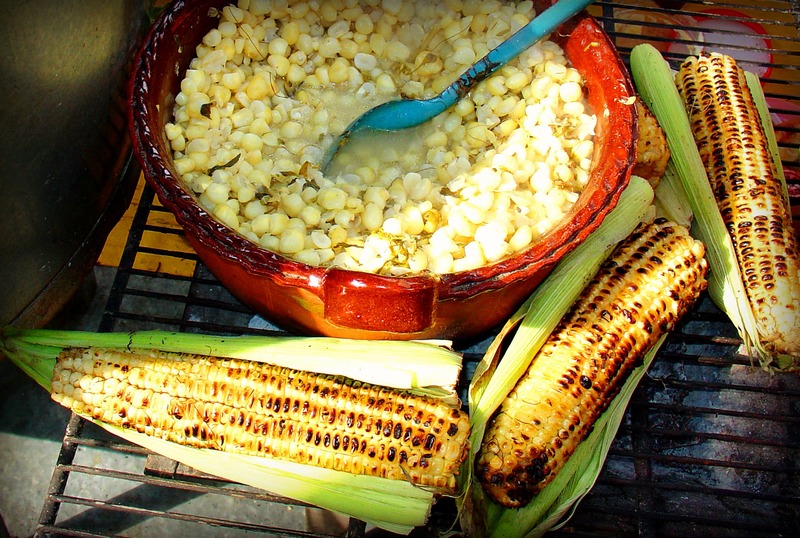 On the Grill: Why not bring the cooking outdoors? BBQing the turkey gives your kitchen a rest, and offers an easy way to work with individual turkey parts, or a spatchcocked bird if that is a better option for your family. For more on grilling turkey take a look at this overview at About.com, or Sara Moulton’s recipe on Food Network. Smokin’ Good! If you take your BBQ seriously, why not smoke the bird, another way to guarantee seriously tender meat. 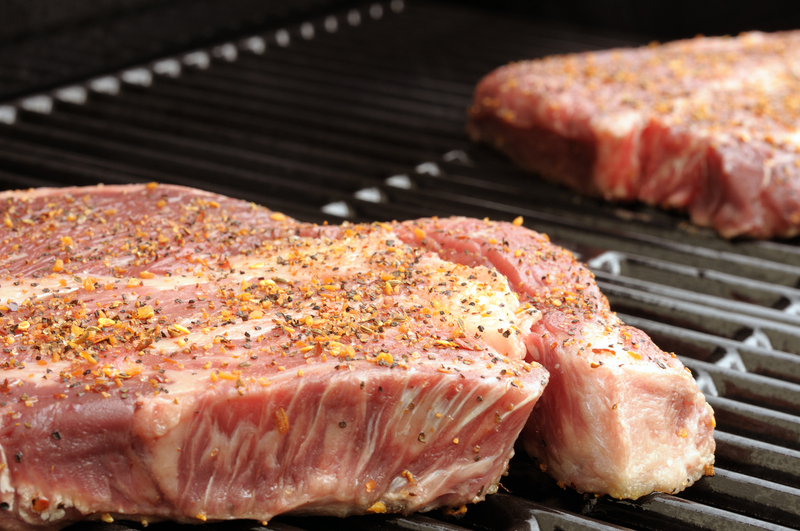 You can use a regular grill, or a smoker. The guys over at Amazing Ribs and Smoker-Cooking have a lot to say on the subject. Esquire also offers up a tip or two, while Alton Brown has a brined/smoked combo. In the Fryer: Deep frying the bird seals in juices and gives you moist and tender meat, crispy skin, and a lot of taste! Just be sure to keep it safe: only fry outside, away from anything flammable. This method works best with a small to medium sized turkey. The National Turkey Federation has a step-by-step tutorial that will get you frying your way to dinner in no time. If you are itching to try this method take a look at the recipes on Food Network and About.com as well. Seems like every family’s got at least one or two favorite turkey-day recipes. But if you’re looking for a new take on an old favorite, there are literally thousands to sift through. Purple Cowboy has narrowed it down to just a handful that we can’t wait to serve up. Buttermilk Cornbread Stuffing with Sausage: Buttermilk in the cornbread makes this, from the Beekman Boys, one of Country Living’s all-time best Thanksgiving recipes. Sweet Potatoes with Praline Streusel: Here’s a rich and delicious sweet potato side from Country Living, topped with an irresistible pecan topping. 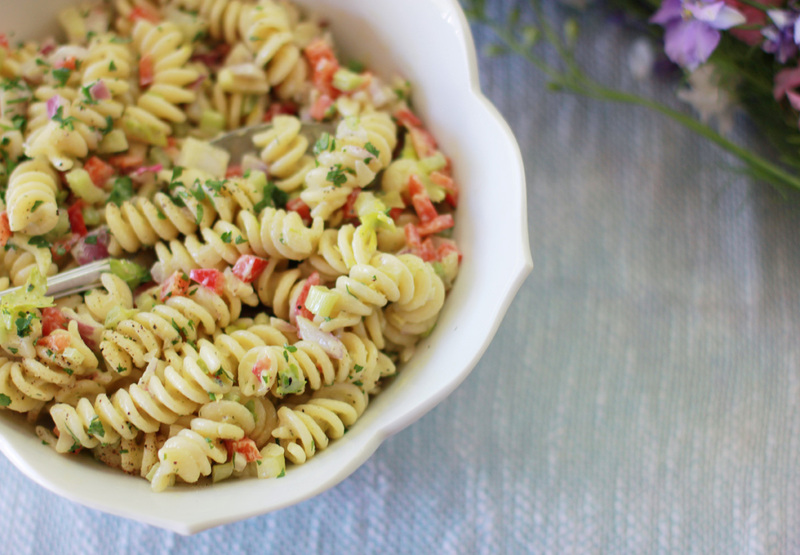 Baked until it’s bubbly and crisp on top, this can be prepared ahead and reheated. Green Bean Casserole is a classic, and this from-scratch version from Ree Drummond (Pioneer Woman) can’t be beat. She uses fresh green beans (but of course!) and a homemade cream sauce to bring all the ingredients together. Chipotle-Corn Mashed Potatoes: Creamy with a touch of sweet and a touch of spicy, we love this take on traditional mashed potatoes. Gratitude Rolls: What is the message of the day, if not to give thanks? Write out your own messages of gratitude on parchment paper, and roll ‘em up and bake with either store-bought crescent rolls, or the recipe shown here. 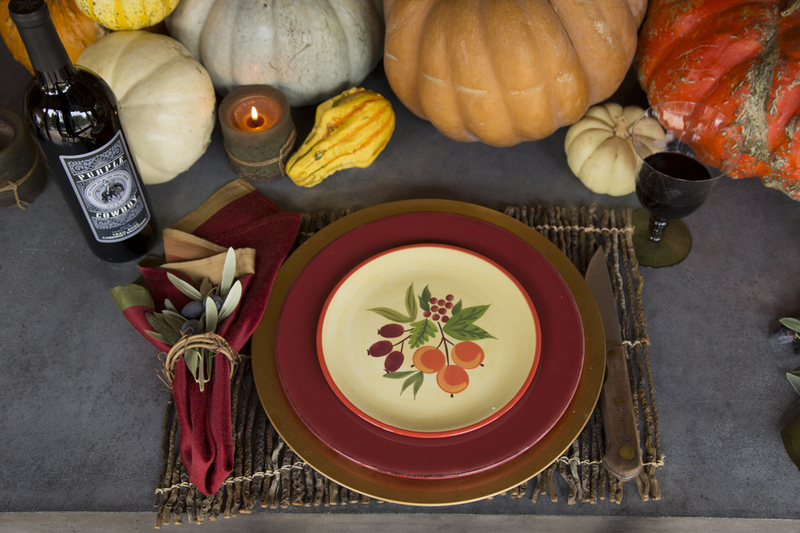 The focus is on the food for a reason, but we picked out a few easy and fun decorating ideas that work for all of fall. Autumn Leaves Centerpiece: Fill an assortment of clear glass containers with locally found leaves, pine cones, or acorns. You can also use small apples, pumpkins, or other squash. You can even get in the mood for the big game by adding small football charms to the mix. Try Mason jars, vases, or pitchers for the right look to go with your table. Family Photo Centerpiece: Print out family photos from Thanksgivings gone by, support them with floral card holders, and add to your own arrangements of seasonal flowers. Instructions are available in this tutorial. Corn and Leaf Wreath: Add silk leaves or flowers in fall colors, plus small ears of dried corn to a plain twig wreath. Use this on the table as part of a centerpiece, or as a wall or door decoration. Learn how to do it here. The Wine Sisterhood’s collection of wine bottle crafts offers more great ideas for seasonal decorating. 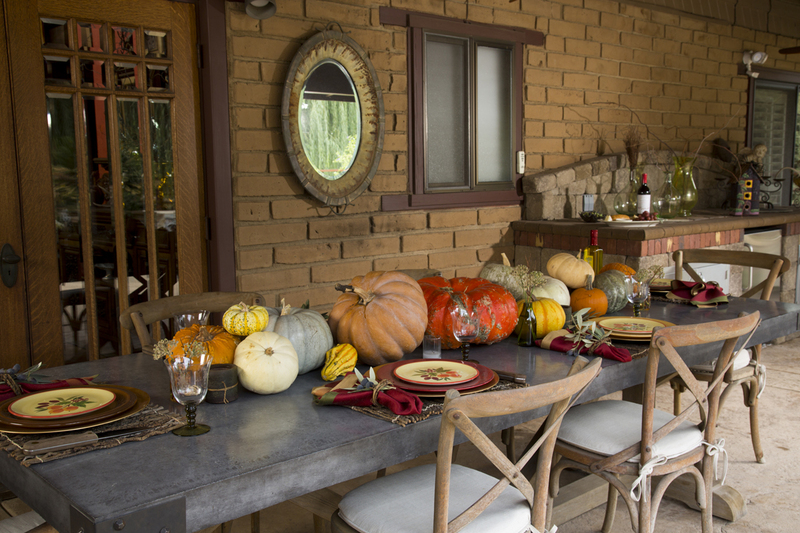 We hope you enjoy our Thanksgiving recipe and decorating round up. From all of us here at Purple Cowboy, we’re wishing you a holiday full of all the things to be thankful for: home, health, family and friends. With the changing of the leaves comes the start of football season, and that means tailgating! 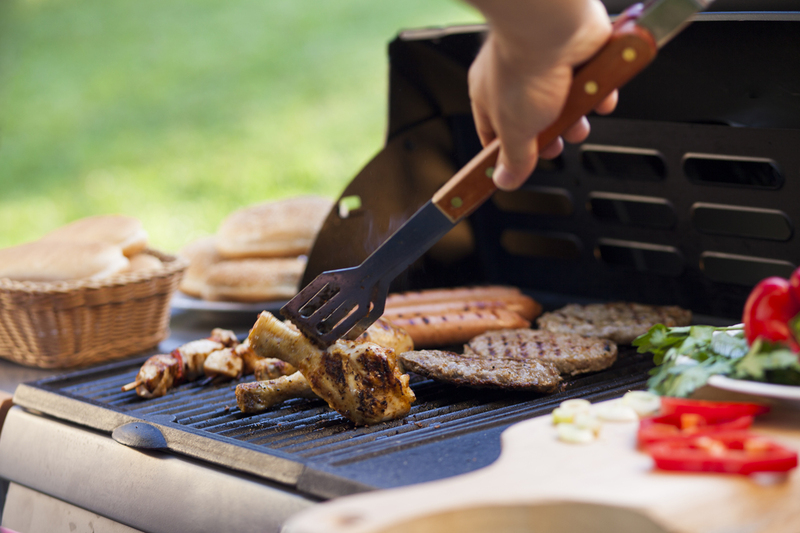 Are you the Grill Master this year? The Chef in the kitchen, the over-excited Super Fan, the Pre-Game DJ? Whatever your tailgating party role, Purple Cowboy wants to help you prepare, at home and by the field. So whip out those coolers, grills and team jerseys – let’s get cookin’! Let’s face it, the best part of tailgating is the food. The smell of chili cooking, those pre-game baked jalapeño popper appetizers, chips, dip, deviled eggs… and brats and burgers. Let’s amp up that tailgating game with these munchables and party hacks! A Super Game-Day Guacamole Recipe! Finger foods are a necessity for any game-day party and we found a tasty DIY guacamole recipe that your friends won’t be able to resist! Get the recipe from Emerging Foodie. Add an oh-so-cheesy and spicy pop to your tailgating party with this simple “Bacon Ranch Grilled Jalapeños” recipe by Inside BruCrew Life. 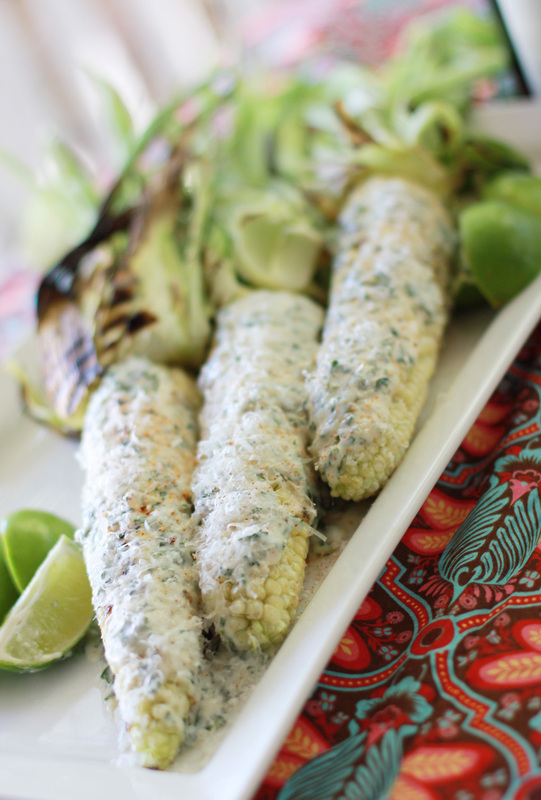 These poppers take 20 minutes on the grill and will be a total hit on game day. Plus, you can never go wrong with bacon bits! Prepare to be the envy of every tailgater. 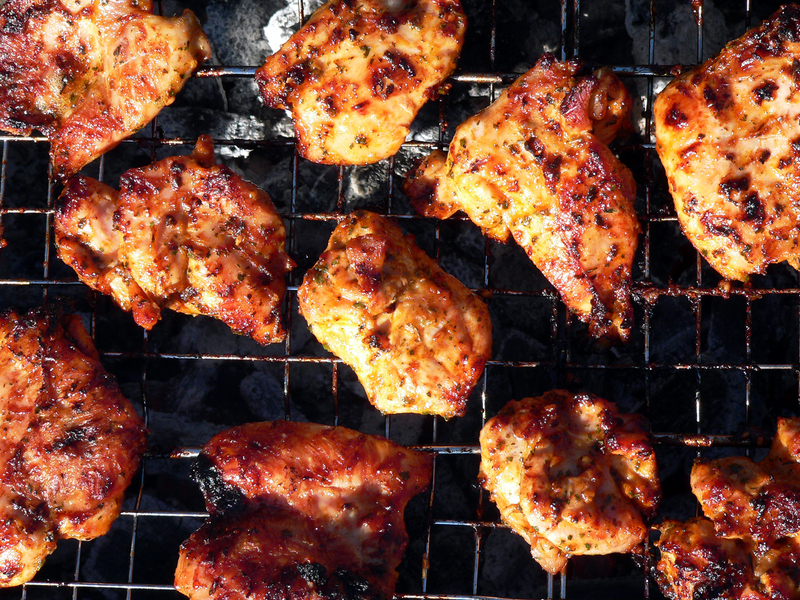 We found you the best, and tastiest grilling recipe around. With equal parts crunch, guacamole and juicy hot dog, your main entrée on game-day… is served. Via A Spicy Perspective. Can’t forget dessert! Gobble up some little football-field cupcakes during your tailgating party! They’ll spruce up your football decor and fix your sweet tooth after all those brats and salty hors d’oeuvres, check out this simple recipe by Miss Make. 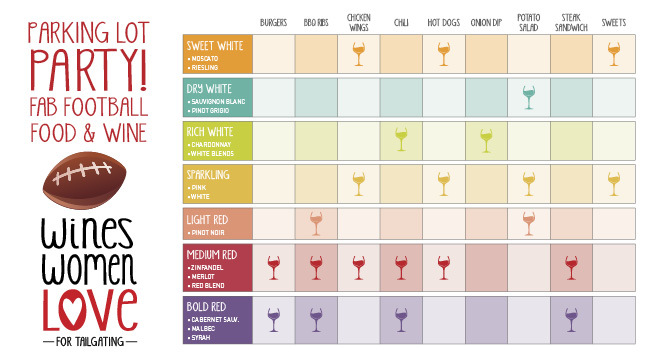 We’ve also found a quick guide to help you choose the right wine for your party. 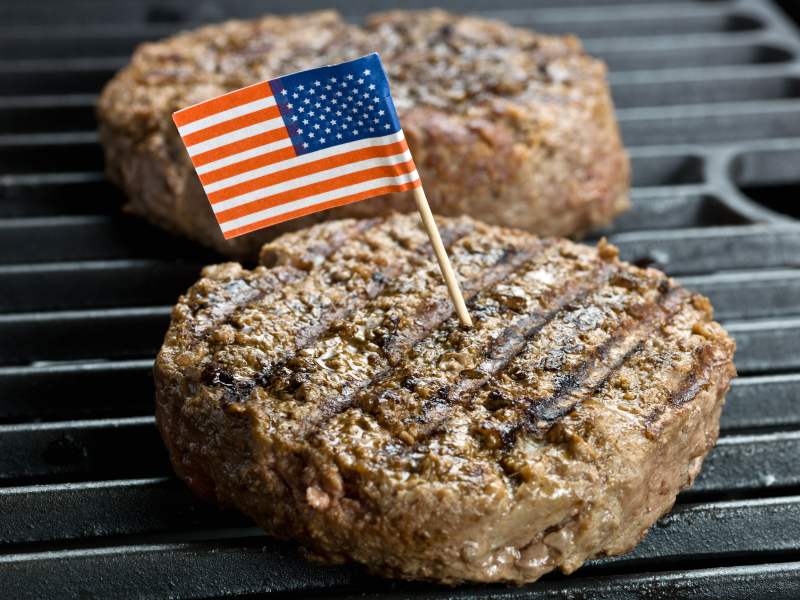 From your burgers to your desserts, this cheat sheet will help you find the perfect pair. 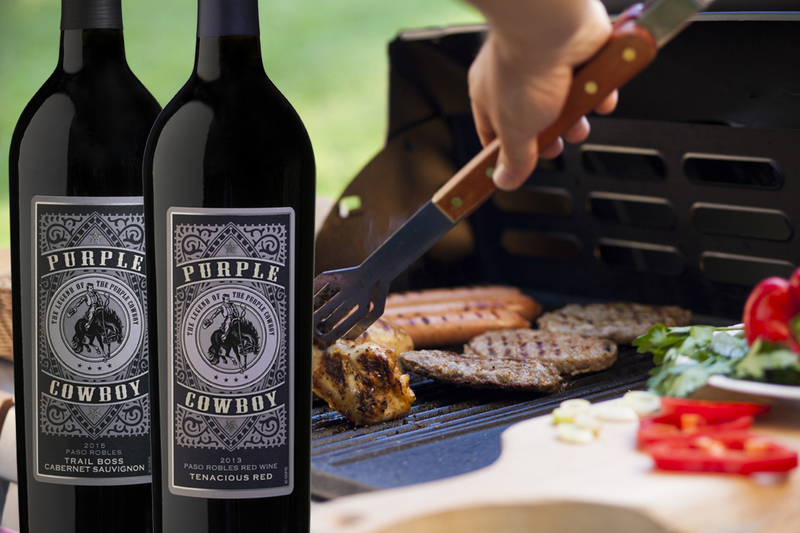 Cabernet pairs best with bold flavors, so you’ll want to pair your Purple Cowboy with foods including burgers, BBQ ribs, chili and steaks. 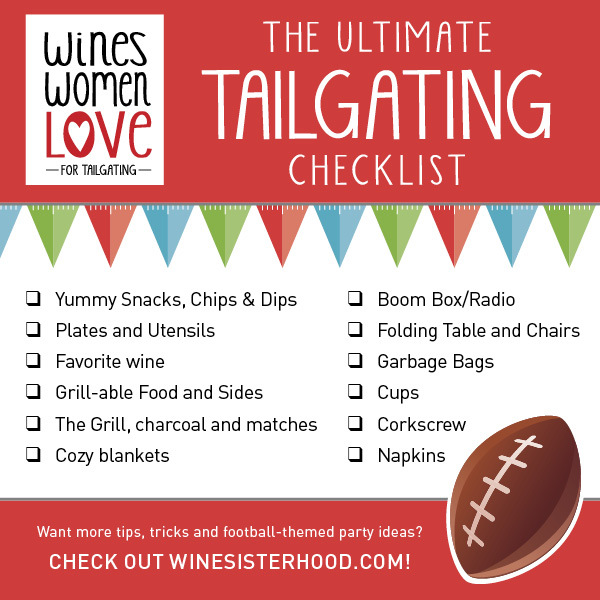 For more tailgating tips and tricks check out the Wine Sisterhood blog post: “Toast to Tailgating Season.” And if you’re looking for Pinsperation, check out the “It’s Tailgating Time” board on Pinterest! Take photos while you’re out tailgating this season, upload them to Instagram and you could win Wine Sisterhood goodies! Here’s how it works: Share your favorite football and tailgating photos with the Wine Sisterhood on Instagram by tagging @winesisterhood and using the #tailgatingtime hashtag in the caption of your images. Get all the details here. We’re so ready for fall, so let’s hut, hut, hut and PARTY!